5 to 7 Day. Nature Meets Culture. Jungle and Village Treks. 2017 Group Tour Dates – 9 Day Orangutans, Lakes and Volcanoes. Departs every month. 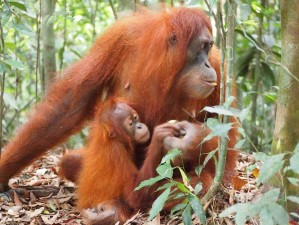 2017 Group Tour Dates – 8 Day Orangutans, Nature and Culture Trek. Departs every month. 6 Days. Volcanoes Villages and Lakes. Lake Toba. 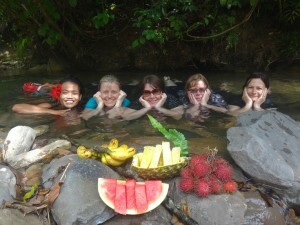 8 Day Family Jungle Adventure – Jungle Fun for Everyone! The Sumatra Adventure Holidays team is proud to be a locally owned and operated trekking and tour company where all of our profits are reinvested in the local communities we visit, volunteer and work with. Sumatra Adventure Holidays is based in Bukit Lawang, the gateway to the World UNESCO Heritage Listed Gungung Leuser National Park in North Sumatra. Over 1 million hectares in size, the park is the last frontier for many endangered and critically endangered Sumatran species of flora and fauna, including the Sumatran orangutan, the Sumatran tiger, the Sumatran elephant and the Sumatran rhinoceros. 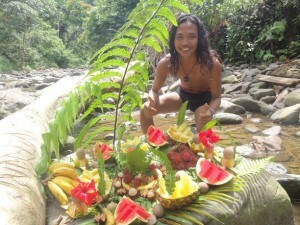 We specialise in flexible private small group tours and treks in North Sumatra from 3 to 14 days. Our longer tours and day trips and treks, include wildlife and orangutan treks in the sumatran jungle from Bukit Lawang, Tangkahan and Besitang Elephant washing and treks, Berastagi village and volcano tours, Lake Toba tours and cultural tours. We are very proud to be the first Sumatran ecotourism business to be a member of the Pack for a Purpose Program where visitors have the opportunity to give something back to a number of the local school communities that we support. We also partner with the local volunteer English programs and reforestation projects in the remote villages of Selang Pangeran and Batu Katak. 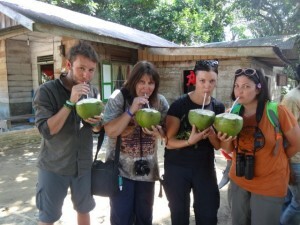 A little about Sumatra Adventure Holidays. We are a locally owned Sustainable and Responsible Eco Tourism Travel Company. 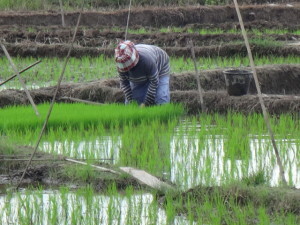 Our aim is to build sustainable community based ecotourism opportunities, where the benefits go back to the local communities by partnering with local communities and businesses, employing and training local guides, developing and supporting locally owned guesthouses and providing employment for local people with the aim to preserve their local heritage and culture. Sumatra Adventure Holidays is seen as a model by the local community, by demonstrating that there are viable and sustainable alternative employment opportunities to palm oil plantations and logging for the local people. Our actions have improved their understanding of the importance of protecting and conserving the Gungung Leuser National Park, not only for the long term sustainability of this fragile ecosystem but for their own livelihood and future, as the park provides communities living around it with a regular stock of food, fresh water supply, local climate regulation and carbon fixing, natural beauty and ecotourism. Sumatra Adventure Holidays is honored to be the first company in Sumatra to participate in the Pack for a Purpose Program. We are working with a number of local schools to secure the long term future of the people in North Sumatra through the education of our children, as we believe that our future lies in their hands. Our Pack for a Purpose Program focuses on the provision of educational supplies to assist with our children’s learning at the primary schools in the local communities, including the Tualang Gepang and the Gotong Royong Primary Schools. The Gotong Royong Primary School serves 230 children from ages 7 through 12 years old. It would be great if you can find some space in your back pack to bring some of the needed supplies with you. Many of the requested items can also be purchased locally and it is our pleasure at Sumatra Adventure Holidays to facilitate this for you at your request if this is easier for you. We can arrange for them to be purchased prior to your arrival or assign a person to go out shopping with you, should you wish. If you desire you can also attend the distribution and volunteer for a few hours to teach our children some new skills, as part of a school visit on your tour. If you wish to Pack for a Purpose locally, in this fashion, please contact us at enquiries@sumatraadventureholidays.com and we will be happy to make the arrangements for you. If you like the idea of sustainable responsible tourism and giving back to the local communities that you visit, or would like to find out more about Sumatra Adventure Holidays please contact us at enquiries@sumatraadventureholidays.com to participate in the pack for a purpose program and plan your adventure of a life time! PLEASE COMPLETE THE CONTACT FORM TO ENQUIRE ABOUT OUR PACK FOR A PURPOSE PROGRAM OR TO TAILOR YOUR VERY OWN TRIP TO SUMATRA TO SUIT YOUR GROUP! YOUR ADVENTURE OF A LIFETIME!